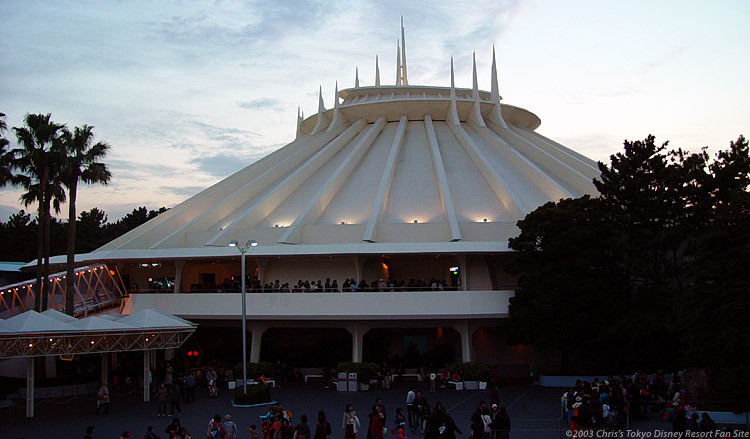 Space Mountain is a simulation of a high speed ride through outer space. This "simulation" is really an indoor roller coaster, with thematic sound effects and projections of stars and flying meteors on the inside walls. Although this isn't the wildest roller coaster ever built, it's still a ton of fun. Signs displaying warnings of who should avoid this ride are everywhere (pregnant mothers and folks with back troubles are a couple of examples). Although the warning signs should most definitely be heeded, I'd have to say this is one of the smoothest roller coasters I've ridden and even a modest "thrill rider" should enjoy the attraction. 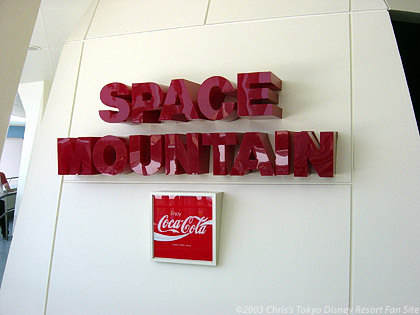 The track layout of Tokyo Disneyland's Space Mountain is an exact copy of the one in California, although the exterior and queue area has recently gotten a facelift. As you might expect, lines for this attraction are almost always very long, so you may want to grab a FastPass if you're eligible for one.